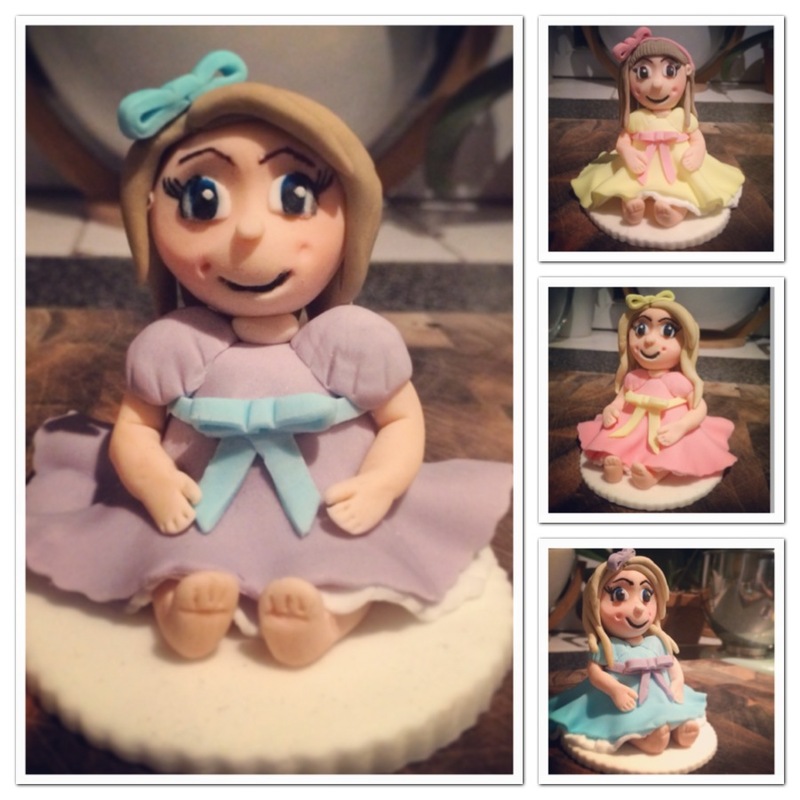 New Cake Toppers – Sweet Little Girls! A lovely work friend, Patsy, recently asked me to bake her a cake for her father’s 60th – (eeek, pressure!). I was both very excited and very nervous about this bake – what if I messed it up?! To add to the nervous, Patsy requested a carrot cake – amazing choice but I’d never made a carrot cake! Cor blimey! This felt like I was starting to bite off more than I could chew! (excuse the pun)! Today I am going to focus on the cake toppers that I made for the cake – 4 in total – each to look like one of Patsy’s beautiful nieces! Patsy sent through the pictures and I set to work on 2 blondes and 2 brunettes, each in different sizes with different coloured dresses, hair styles and eye colours! It took 22 hours over 2 weeks, copious cups of tea and more than a few swear words over my ridiculously unsteady hand (the faces are hand painted)! but here are the finished products…..I am very proud of them 🙂 I hope you like them! Carrot cake recipe and pictures to follow shortly! This entry was posted in Home Made and tagged birthday, Cake, Cake toppers, celebration, Icing, little girls, models, topper by stephandpenny. Bookmark the permalink. That cake look’s absolutely stunning! Finally I can see a cake and hope I don’t eat it!